The annual Golf Outing benefits Holy Trinity's Parish Center Capital Campaign. Once built, the Parish Center will offer Holy Trinity the ability to come together as a community for a wide variety of celebrations, achievements, and other events. We hope you will join us for this day of golf, food, raffles, prizes and more! Support our Golf Outing by becoming a sponsor. Your Company’s name and logo will be displayed on a prominent banner when arriving at Golf Course and at check-in, in the Clubhouse for lunch and social hour, and the Pavilion where dinner is held. Your company’s name will also be recognized in our itinerary program distributed to each golfer as well has displayed on score cards and on any programs, brochures and or flyers. Your Company’s name will be displayed at Golfer Check-in and in the Clubhouse where lunch/drinks are held. Your Company’s name will also be recognized in our Itinerary program distributed to each golfer and any programs, brochures and or flyers. Your Company’s name displayed on the beverage cart. Your Company’s name will also be displayed in the Clubhouse during social hour and the Pavilion where dinner is held. Your Company’s name will also be recognized in our Itinerary program distributed to each golfer and any programs, brochures and or flyers. 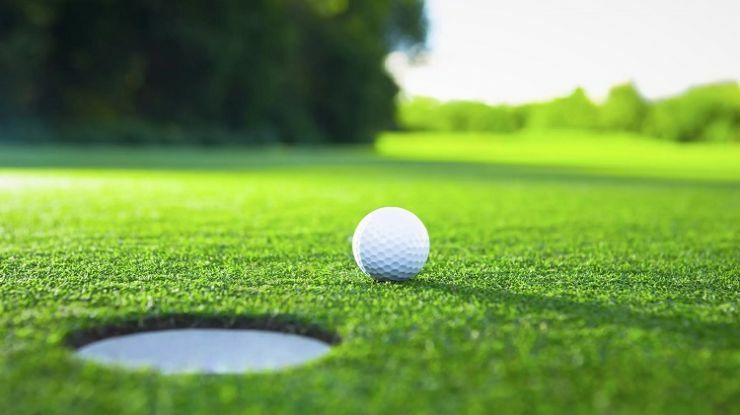 Your Company’s name will be recognized in our Itinerary program distributed to each golfer and signs displayed on one of the 18 holes.Your Company’s name will also be recognized in our Itinerary program distributed to each golfer. Holy Trinity Catholic Parish is a nonprofit 501(c)3 organization and all donations are tax deductible provided by the law. To become a sponsor email golf@holytrinitywestmont.org to reserve your spot and to submit payment. Artwork and copy should be high-res, and to spec. Sign up for the Golf Outing by clicking on the registration link below. This registration includes 18 holes, cart, breakfast, lunch, dinner, and drinks.